Last November, Disney released what proved to be one of its biggest Princess movies to date. As I watched it for the fourth time with my kids, I noticed the many lessons it teaches us about storytelling and the publishing industry. There are quite a few plot spoilers in this post, so if you’re planning to watch the movie, do so first. 1. Do what you do best. Disney produces a variety of movies, but the ones that are the most memorable are the animated movies, and especially the musicals. 3. Go beyond what has been overdone. Disney decided to explore the lesser known Hans Christian Anderson story, The Snow Queen, this time. In the past, they’ve stuck to the better known stories like Cinderella, Beauty and the Beast, The Little Mermaid, Rapzunzel. 4. Explore new settings. Instead of writing your story in locations frequently used in books (e.g. New York City), pick a setting that is unusual. 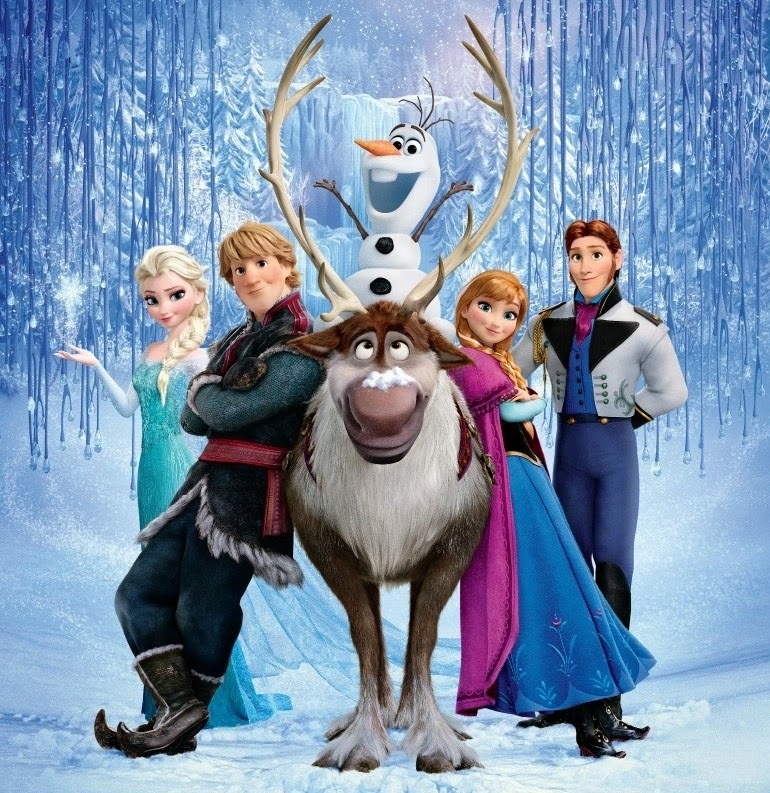 FROZEN’s Scandinavian-like setting proved to be popular with young girls. It was unique, as were the snowman and reindeer as sidekicks. 5. Let It Go! This popular, award winning song teaches many things when it comes to the publishing industry. For example, don’t dwell on rejections and negative reviews. Let them go and move on. Of course, if you are getting a lot of them with the same underlying theme, you will want to check into that and see if it’s something you need to work on craft-wise. 6. Listen to the critics. Mothers were getting tired of their daughters being told that you just have to marry a guy you barely know and you’ll live happily ever after. Disney listened and the outcome is a movie that has delighted parents (and meant more money for Disney) and taught girls a valuable lesson. The great guy that Anna thought she had fallen in love with (thanks to the concept of love at first sight), turned out to be one of the villains. Had she married him like they had planned, it would have been the downfall of the sisters (Anna and Elsa) and the kingdom. There would have been no happily-ever-after for them. 7. We can’t always know what the other character is thinking based on body language and facial expression. For example in FROZEN, as Princess Anna walks away, after meeting Prince Hans for the first time and after experiencing insta-attraction, Prince Hans has a happy, love-at-first-sight expression on his face. The audience buys this. What the audience doesn’t realize is that he is happy because with Anna he now has a chance of gaining the throne. In his own kingdom, he’s thirteenth in line for the throne. This is a great example of how everything isn’t what it seems when it comes to body language and facial expression. 8. No one is perfect. When we first meet Prince Hans, he’s perfect. Too perfect. I didn’t like him and my kids didn’t like him. He said and did everything right. Now, if he really had been perfect throughout the movie, it would have spoiled it. We later learn that it is all an act. He’s far from perfect. 9. Give your characters flaws. As the singing trolls so eloquently put it, everyone is a fixer upper. It was Kristoff’s flawed character that made him adorable, especially in contrast to the so-called perfect Prince Hans. His flaws made him multi-dimensional. 10. Juxtapositions help emphasis your point. Juxtaposition is two opposites put together. An example is flawed Kristoff verses prefect Prince Hans. Everything about them is different, including their goals and what they love. 11. Subtext. Olaf is a quirky, talking snowman. At one point he sings about how he can’t wait for summer. However, Olaf is naïve to the danger heat poses to him (foreshadowing). He sings, “Winter’s a good time to stay in and cuddle. But put me in summer and I’ll be a…” He looks down at a puddle on the ground. The subtext is clear to all the kids watching the movie. Even the young ones now know Olaf will turn into a puddle in the summer. But he doesn’t realize this and continues the song with “…happy snowman.” For the kids, this is one of the most memorable scenes in the movie because of the subtext and the humor. 12. The power of emotion. Elsa’s powers grow worse when she gets emotional (e.g. scared or angry). There are consequences when this happens, just like there are consequences when emotions become too big for your characters. The consequences are dependent on who your characters are and how they respond to these emotions. In Elsa’s case, her powers could accidentally injure or kill someone she loves. 13. Prologues do sometimes work. Often prologues don’t work because writers use them for info dumps and it distracts from the story. A clever writer will weave the backstory throughout the book and build the suspense that way. However, the prologue in FROZEN (when Anna and Elsa were little girls) works because it goes beyond showing the dangers of Elsa’s powers. It foreshadowed something that happens later in the movie. When Elsa accidentally hits Anna’s heart with ice, we already know how dangerous this is for Anna because it was cleverly revealed in the prologue. 14. Misleads build suspense. After Elsa’s blast of ice hits Anna in the heart, Kristoff takes her to visit his troll family. When he was a kid, he witnessed the troll king heal Anna’s head after Elsa accidently hit it with a blast of ice (in the prologue). He knows the troll king can help Anna. The troll tells them that only an act of true love will heal her heart and save her. So naturally the first suggestion thrown out is love’s first kiss (because this is a Disney movie after all). And who will kiss her? Prince Hans. Anna and Kristoff race back to her kingdom so her “love” can kiss her. They return, Kristoff leaves, and we learn the truth about Prince Hans. And now there is no love’s first kiss. The audience eagerly waits to see if Kristoff, who obviously loves Anna, will come charging back to save her. And he does. But that’s not the act of true love that will heal Anna’s heart…. 15. Mirroring subplots strengthen the story. One of the themes in FROZEN is sacrifice. Olaf (the snowman) is willing to sacrifice himself when Anna is locked in a freezing room after her sister hits her heart with ice. Olaf finds her and realizes he needs to warm her up. He starts a fire and stays with her, even though he’s at risk of melting. Kristoff risks his own life when he races back to save Anna. Anna manages to get outside (with Olaf’s help) and tries to find her sister in the storm. She hears Kristoff call her name. At this point she knows she loves him and he loves with her. The audience sighs with relief. Kristoff will save her. But then Anna see Prince Hans is about to kill Elsa. Anna has to make a choice: rush to Kristoff so he can save her, or throw herself in front of Prince Hans’s blade and save her sister. Anna saves her sister, but because Kristoff couldn’t kiss Anna in time, she is dead. Or is she? Anna’s sacrifice for her sister was an act of true love. The one we weren’t expecting because the trolls “accidently” misled us into believing love’s true kiss would save Anna. Both the misled and the mirroring subplots created a powerful climax. 16. Theme guides the story. In addition to sacrifice, one of the themes of FROZEN is love. Anna is looking for love after being alone for so long. She loves her sister even though she doesn’t understand why Elsa has locked (literally) Anna out of her life. Prince Hans loves money and power. The greedy merchant loves money. Elsa loves Anna and would do anything to protect her. Kristoff loves Anna. Even the trolls sing about love. As Kristoff explains at one point, they are the love experts. Everyone’s actions are guided by the theme. Their emotions and reactions are guided by the theme. I could keep going on with this list, but this is post is already long. I do recommend that you watch the movie, or another movie that has gained well-deserved recognition, and spend time analyzing it. The time and effort spent will benefit your stories. Is there anything you would add? Have you ever analyzed a favorite movie? Brilliant post! I especially love that this movie debunks the "love at first sight" thing that is SO popularized and SO overdone. Great takeaways here! I loved this!! What a clever way to make your points. I'm a teacher too, and you've given me another great way to teach writing. "Let It Go" has been my mantra for months now. Think I'll go sing to the dog! Stina, it's funny you mention this movie. I've watched it four times now as well, and I'm amazed at the storytelling. Another thing they did well is start the characters in their normal life, but move them quickly to conflict. What a home run post Stina. You covered many aspects that I had not even thought about--I do like being creative with a setting and not just going status quo. I would just add to your #12 that the movie's soundtrack bolsters the emotion. Obviously, writers of books can't use music in the same way, but strong character development, in that we identify with the individuals, can mimic the effect of a song when emotions are high.